Cy Twombly in Grottaferrata, Italy, 1957. Photo: Betty Stokes. 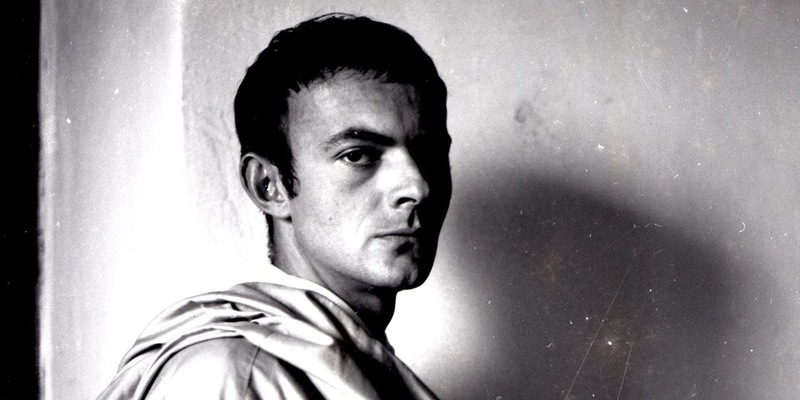 SINCE HIS DEATH IN 2011, there have been whispers of a Cy Twombly biography. A book that might, finally, through impeccable research—a thorough examination of the artist’s life and times, not to mention the literary, historical, and artistic references endowing his oeuvre with a dense texturality—shed light on the enigma of Twombly, slashing through the cliché portrayals of a Jamesian aristocrat abroad to reveal the fertile creative psyche of the man who broke all the rules, who overwrote all languages to create his own. Now, to the relief and intense interest of fans worldwide, that moment has arrived. Unfortunately, it’s not all it’s chalked up to be. “This, dear reader, is not a biography. It is something, I hope, stranger and more personal,” Joshua Rivkin writes early on in Chalk: The Art and Erasure of Cy Twombly. Overlooking, for a moment, the bookishly precious “dear reader” (an address that recurs), Rivkin gives clear warning that he intends something spectacularly different. The tantalizing promise of something “stranger” is more than a bit compromised by the ominousness of that “more personal” dimension. Rivkin is a poet, and the subject of this, his first book, is hardly a space through which to drive a first-person narrative. In spite of the author’s assertions, the book retains all the conventional markers—including an adherence, more or less, to chronological format—and was widely marketed by Rivkin’s publisher as the first Twombly biography. Gratuitous quotation from secondary sources is one of the telltale signs of a poorly composed biography. A certain heft—in revelations, in size—is (often contractually) expected, and quotes can substitute for the teased-out details or original interpretations that arise fluidly from intense engagement over time. But this, of course, requires the biographer to hit the pavement, doing the gritty work of the detective, the journalist. In Chalk, when Rivkin isn’t speculating and filtering Twombly through his own wandering “I,” he is copying and pasting others’ critical approbations. There are, on average, four or five quotes on every page. Rivkin even peppers his pages with quotes that have nothing to do with Twombly or his work, yet are meant to serve as departure points for some (usually unconvincing) exegesis. He sacrifices narrative coherence at the altar of bibliophilia. How did it go so wrong? In one of Rivkin’s early monologues, he laments the difficulty in writing about such an elusive figure. You would think he was writing about someone who lived a thousand years ago. But there are plenty of people alive who knew Twombly well. Few, it seems, wanted much to do with Rivkin, which would explain his reliance on existing literature. His biggest human hurdle was Twombly’s longtime partner and the president of his estate, Nicola Del Roscio. Rivkin describes his struggles with Del Roscio in cringe-inducing detail. To be fair, Del Roscio is probably not the easiest person to deal with. He oversees an estate valued at a billion dollars and is, Rivkin implies, unafraid of wielding his power. He was at the center of a series of very public lawsuits among board members of the Cy Twombly Foundation after the artist’s death. At first, he is accommodating to Rivkin. But he soon grows frustrated. “What is it you want from me?” Del Roscio asks at the end of their first lunch meeting in Rome—a question that reveals less about his supposed intractability and more about Rivkin’s ambivalence as a biographer. It is one of many strange and uncomfortable moments in the book when Rivkin undermines himself. Why the author is so unashamed as to advertise his own shortcomings in the text remains an unsolved mystery. Even more mysterious is why no editor was perceptive enough to strike out these lines that effectively demolish the entire book’s foundation. Rivkin practically flaunts his unpreparedness, his reluctance to ask difficult questions or even apparently record his interviews or take notes. Eventually, Del Roscio asks to see an excerpt from the work in progress so that he can gauge Rivkin’s intentions. When Rivkin grudgingly submits, Del Roscio responds bluntly that his writing is not very good and that he’s probably not the right one to pen the artist’s biography. Poring through the book’s cliché-clogged prose (“if you believe that, then you might believe anything”—addressed, naturally, to that “dear reader”), rife with ponderous banalities (“the eye can see”; “everything changes, and nothing changes”) or just plain purple writing (Twombly and Del Roscio “found in each other something that would sustain a lifetime together”), more or less confirms Del Roscio’s assessment. The theme that is repeated endlessly throughout Chalk: What is absent often reveals even more than that which is present. (For example, Rivkin writes, “What I recognize in Twombly’s art is a process of association, where what’s seen matters as much as what’s unseen.”) It’s a well-constructed apologia for there being so little in these pages that tells us anything new about Twombly. But it is also a pseudoprofundity, the kind of truism one might find recycled throughout a college freshman’s English Composition 101 exercise. 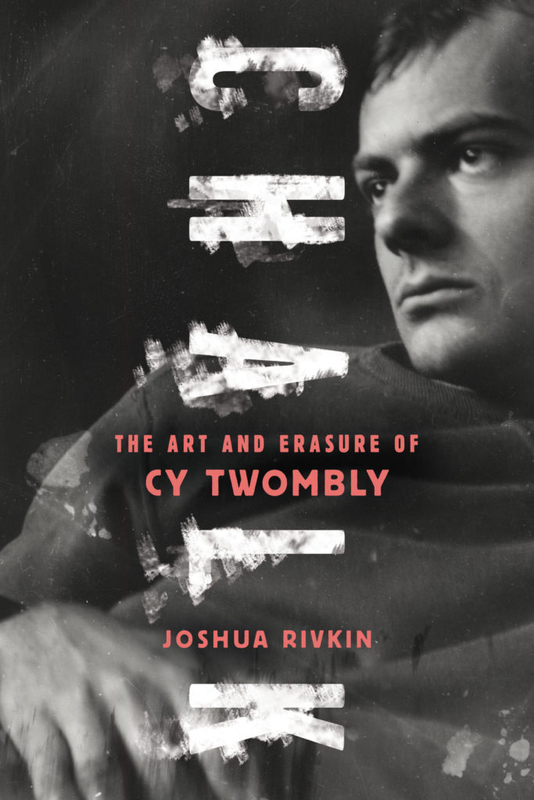 Cover of Joshua Rivkin's Chalk: The Art and Erasure of Cy Twombly (2018). Rivkin leaves much out, whether through carelessness or lack of resources; nothing is made more profound by its absence. Rivkin regurgitates the well-known story of the critical pan of Twombly’s 1953 show with Rauschenberg at Eleanor Ward’s Stable Gallery. But how did the young artists come to know Ward to begin with? He flippantly mentions that Twombly “would, eight years later, paint over the works done in Munich.” When was Twombly in Munich? What works did he make there? It is mentioned that, in the early 1990s, a doctor told Twombly that he didn’t have long to live, but Rivkin doesn’t disclose the diagnosis and it’s not clear from the text if he knew it. Twombly lived in Italy for most of his adult life; how was his Italian? In what language did he communicate with his wife, his son, his lover? Rather than filling in the obvious gaps, Rivkin pursues pointless strands, like trying to contact the transporters of one of Twombly’s paintings to find out what the weather was like on the journey. In listing Twombly’s art dealers over the years, there is no mention of his longtime London dealer, Anthony d’Offay. Certainly Lorcan O’Neill, who now runs a gallery in Rome and was charged with looking after Twombly when he worked for d’Offay, would have been a fount of information. (Some Twombly anecdotes O’Neill regaled me with in private were far more revealing of the artist’s character than anything in the book.) Larry Gagosian, who skyrocketed Twombly’s prices in the ’90s, either did not want to speak to Rivkin or Rivkin didn’t try. Not a word about the artist’s significant later commission for the ceiling of the Louvre—though we do get to read a bit about his posthumous retrospective at the Centre Pompidou. (“The wall markers at the Paris show hide as much as they reveal,” we learn.) There is a particularly absurd and unfathomable attempt, based on little more than the artist’s sexual orientation, to connect Twombly’s ’80s work to the AIDS crisis—the sort of thing only a confused heterosexual would write. It could be that Del Roscio’s censure made Rivkin self-conscious. More than once Del Roscio expresses, and Rivkin records, his concern that Rivkin is writing a “book of gossip.” We can speculate that Rivkin heard this complaint many times, perhaps more than he mentions in the book, and that it remained in the back of his mind as an admonition as he wrote. But a biographer has to be ruthless: because a biography is, of course, a book of gossip (among other things). In the end, only a vague outline of Twombly emerges in these timorous pages. Context is everything—as a rule in the biographical endeavor in general (hence “the life and times of” with which so many biographies are subtitled), but also when it comes to decoding the web of referentiality wherein Twombly’s work is ensconced. Rivkin’s descriptions of his own peregrinations are no substitute for a scholarly knowledge of the history of art, the ancient history of the Mediterranean, and literature that are intrinsic to an understanding of Twombly’s work. It would be generous to say that Rivkin has scratched the surface. It would be fair to say that Twombly and his admirers deserve more than a pile of pseudomystifications.